Elefun and Friends characters love honey, but this grumpy honeybee doesn't like to share. To play: reach for a honeycomb, and the bee will buzz and vibrate. "Bee" quick, and take a honeycomb from the honeybee's hive before she jumps forward. If she jumps forward on a player's turn that player is out. The last player left not to have the honeybee jump wins the game! 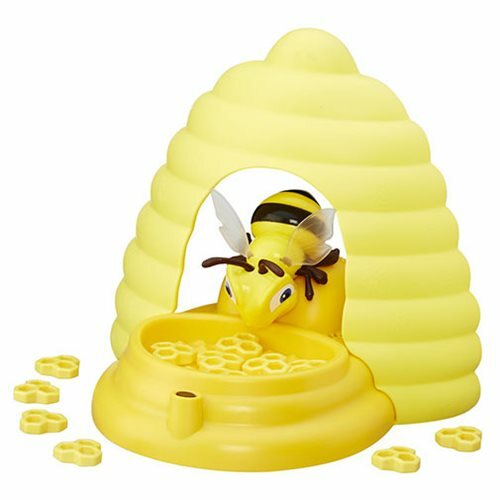 The Beehive Surprise Game is for 2 to 4 players, ages 4 and up. Includes hive cover, honeybee unit, 2 wings, hive base, 13 plastic honeycombs, label sheet, and instructions.